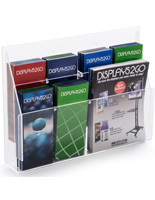 A Magazine Rack has Removable Divider Pegs! 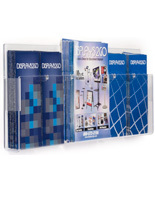 Ships from our Quick Ship Warehouse! 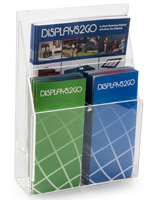 Magazine rack has an acrylic fabrication to coordinate with any setting. 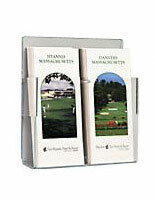 Literature holder comes with screws and anchors for wall-mounting. 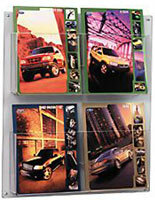 Removable dividers for storing (2) stacks of 8-1/2" x 11" catalogs or (4) stacks of 4" x 9" pamphlets. 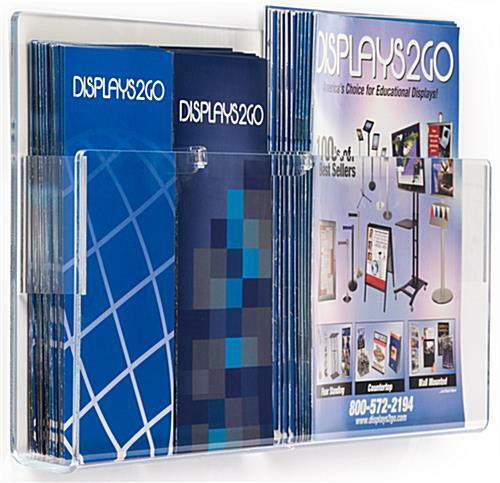 This versatile wall mount magazine rack allows you to display 8.5" x 11" high literature in two pockets or configure the unit with removable divider pegs to display (4) 4" wide x 9" pockets. The pockets are 2" deep. 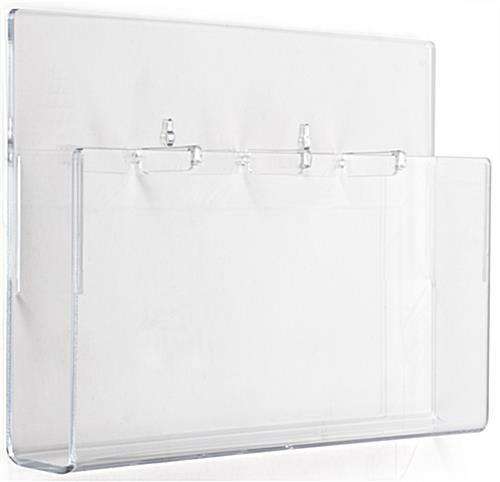 The high pocket front makes displaying single sheets of paper possible by preventing it from flopping over. 32.0" x 14.5" x 2.3"